Opening an estate with a Louisiana probate court is accomplished by filing a pleading called a “petition of possession” in what is known as a “succession” proceeding. In the vast majority of cases, the succession proceeding is opened and closed simultaneously. The steps to accomplish this involve gathering information and supporting documents, preparing the petition for possession and presenting a completed judgment for the probate judge's signature. Prepare a list of all heirs of the deceased. If there is a will, it will determine who inherits from the estate, unless it is declared invalid in whole or in part. If there is no valid will, Louisiana law determines the order of priority for inheritance. Prepare an accounting of all assets and liabilities of the estate, and establish the value of each asset. Prepare and file a Louisiana inheritance and estate tax return, and pay any taxes that are due. State inheritance taxes and estate transfer taxes are reported on Louisiana Department of Revenue Form 3318. File the original in the succession court record and a signed copy with the Department of Revenue. Be sure to keep a copy for your records. Prepare and sign a petition for possession. Prepare and sign an affidavit that attests to the allegations of jurisdiction, death and heirship made in the petition. Prepare and sign a “sworn descriptive list” that reports all assets and liabilities of the estate as shown on the accounting made earlier. Prepare a judgment of possession, the order to be signed by the probate court, recognizing the petitioning heirs and placing them in possession of the estate. The judgment of possession will ultimately serve as the heirs’ deed to the estate and should be recorded in the conveyance records of any Louisiana parish in which any real estate listed in the judgment is located. Present the judgment of possession for the judge’s signature. The judge will review the petition, supporting affidavit, sworn descriptive list, inheritance tax return and Department of Revenue certificate before ruling on the judgment of possession. Pay the required filing fees to the clerk of court, file the petition, supporting affidavit, sworn descriptive list, inheritance tax return and Department of Revenue certificate with the clerk of court, and request certified copies of the judgment of possession. Louisiana Code of Civil Procedure: Articles 2811 et sep.
Probate is a process involving the legal transfer of your property after death. In Louisiana, probate is referred to as succession and if you have a valid will in place, the person you appoint to handle the process is known as the succession representative. This individual serves the same role as an executor in other states and has the responsibility of collecting and safeguarding your property throughout succession. For this reason, the selection of a trustworthy and reliable succession representative is an important component of drafting your will. You may file a last will and testament in Ohio for safekeeping or to initiate probate -- the legal proceeding used to settle the final affairs of a deceased person. Filing your will with the court prior to your death will keep the document safe and avoid questions about the validity of your signature after your death. Ohio law requires the filing of the original will with the probate court. 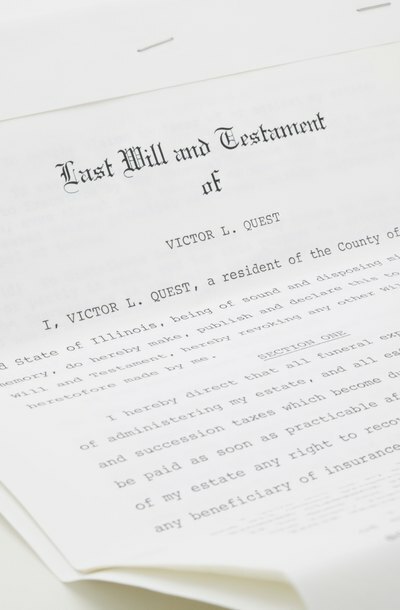 When a New York resident dies "testate" (leaving a will), the Surrogate's Court will be asked to appoint the person designated in the will as the executor to administer the probate of the estate. If a person dies "intestate" (without a will), the court appoints a person called an administrator to oversee the estate. The administrator can be anyone who is eligible to share in the deceased individual's estate under New York law. This is usually the deceased's spouse, children, grandchildren, parents, or brothers or sisters. Once you are appointed as administrator by the court, you are responsible for gathering the assets, paying the debts and taxes, and distributing the estate to the heirs.